A 93-year-old Ohio man wrapped up his nearly seven decades of golfing with his first hole-in-one. 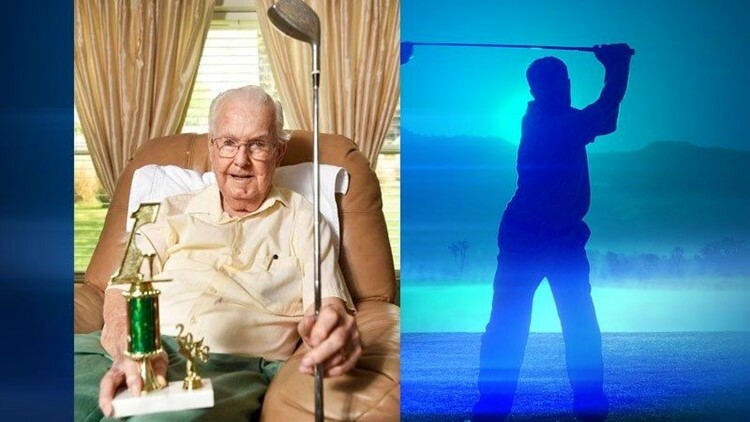 ZANESVILLE, Ohio (AP) - A 93-year-old Ohio man wrapped up his nearly seven decades of golfing with his first hole-in-one. Ben Bender told The Zanesville Times Recorder "the Lord knew" this was his last round and gave him a hole-in-one. He says he hates giving up the game, but knows he can't play forever.